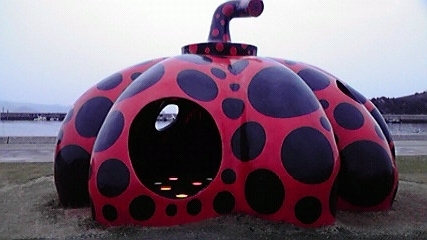 How many people from foreign countries who come to [the Setouchi International Art Festival 2010] ? This festival is done for about 100 days from July 19, 2010. It is done on seven islands in the Inland Sea(Setouchi-sea). The first event is held as for this project in 2010. It is scheduled to be done every three years of the future. The one of the building designed by Tadao Ando is abundant. It is paid attention from the world. Especially, Naoshima is being administered as an island of the art by Benesse Holdings, Inc..
Where is Kagawa (Setouchi) in Japan. The speciality of Kagawa-Pref is a Udon (japanese-noodle). A lot of Udon-shops are in Takamatsu. In Udon, it is a feature that noodles are fatter than soba. © Copyright 2019 zamuu：：BLOG. All rights reserved.